I don’t know what it is with the Swedish knack for good melody that is both catchy and engaging at the same time. They just seem to get it. Could be the stuff they eat over there, smorgasbord or just those meatballs everybody flocks to IKEA stores for. Simon Stålhamre and his Small Feet band and their sophomore album With Psychic Powers are no exception, just yet another welcome addition to the list of Swedish pop/rock melodists that seem to have sucked up all the essential elements that make the music both easy on the ear, and yet still like “Masquerade” on this album, sound so painstakingly built up just to come up with that ‘simplicity’ effect. Always hard to do. Still, as evidenced by With Psychic Powers, it seems that such an approach is something that comes as a breeze to Stålhamre. From almost ‘pure pop’, with the accent on almost to seven-minute “The Lake”, a song The Grateful Dead could have come up with and probably extended it to a 17-minute epic, although Stålhamre and his band have done a great job already. 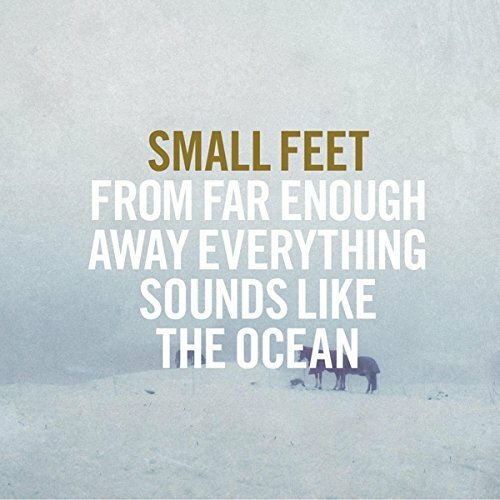 Now Small Feet, with all the great reviews they got in the press for their initial album Far Enough Away Everything Sounds Like The Ocean (2015) are not exactly a household name, probably not even in Sweden, but on the evidence of more pop-oriented material on this album, like the instantly catchy “Bad Science”, there’s no reason why they shouldn’t. But as evidenced by the slow-burning “IDBIL” that sounds like a country ballroom ballad with a church organ added, there is no one-dimensionality in Small Feet’s sound, something that could be attributed to the fact that Stålhamre has his own studio in Stockholm, enabling him to perfect the group’s sound as much as possible. Which on the evidence of With Psychic Powers he obviously did.